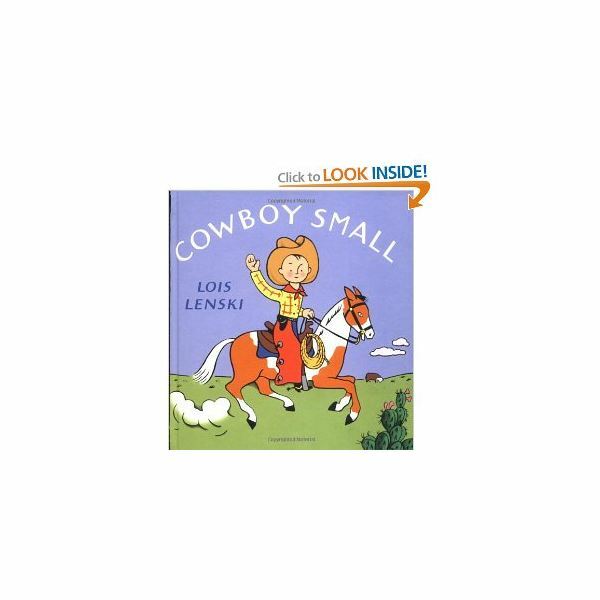 This classic cowboy picture book was originally published in 1949. Full of charming illustrations and a simple story, this book is a great choice for a cowboy theme. Cowboy Small participates in lots of "traditional" cowboy activities like riding and caring for a horse and sleeping outside at night. Rocky is a cowboy, but he doesn't lasso cows–he lassoes dinosaurs! This non-traditional take on cowboys is a combination that many students will like. This cowboy story is all about a cowboy and his horse! Find out how Andy (the horse) helps Cowboy Ned celebrate his birthday. 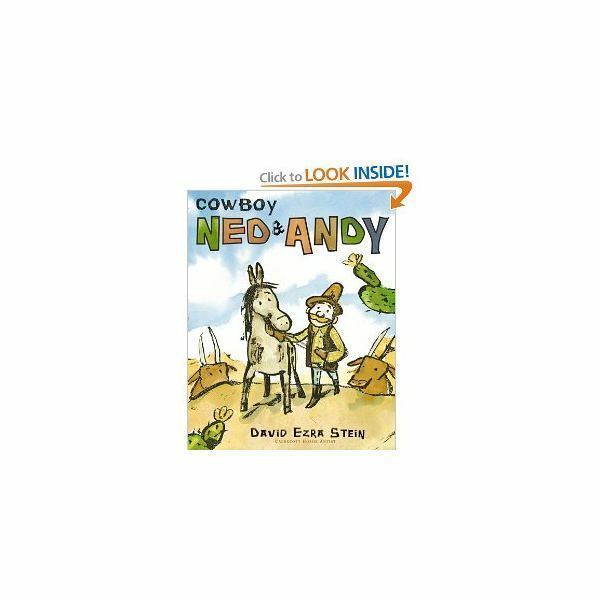 If students enjoy this book, check out Ned's New Friend, a second cowboy picture book with the same characters. This nonfiction selection is a super way to show children what actual cowboys do. With photographs instead of illustrations and simple sentences, this book works well for young children. Use cowboys as the theme for math, too! Basic graphing and colors come together in a simple classroom graphing activity. Make a list as a class of all the different colors a cowboy's horse can be. Using a pocket chart or large piece of chart paper, add a label for each horse color (gray, white, black, brown, etc.). Then, have each student take a small horse picture and color it his or her favorite color. Finally, have each child bring the horse and place it in the correct column in the graph. Then, spend some time talking about the graph. Which horse color is the favorite? Which color has the least? How many does each color have? Cowboy hats, horses, horseshoes, and more can work well for a patterning activity. Using a pocket chart and laminated cards with various cowboy-related images, create various types of patterns and have students come up to the chart to continue the pattern. Start out with a simple pattern such as ABABAB – use a cowboy hat, then a horse, cowboy hat, etc. and have the children continue the pattern. Move on to progressively more difficult patterns once the children seem to do well with simple patterns. Create glittery cowboy boots to display in the classroom! Cut one cowboy boot shape out of cardstock for each student in the class. Allow the children to color and decorate the boots using crayons, markers, or paint. Once dry, have the students add gold glitter to the stars or spurs on the boots. Make and decorate cowboy hats. Make the front of the hat by tracing a hat pattern and cutting it out of heavy brown construction paper. Children decorate the hats, then make them wearable by attaching a strip of brown paper (sized to fit the child's head) to the left and right sides of the hat. For additional cowboy ideas, check out this Western Themed Preschool party. Kids are sure to have fun and learn while participating in this preschool cowboy theme!